The case of R ( oao Silke Roskilly) v Cornwall County Council may at first sight seem yet another local issue. However read the case and you will realise that the decision of Mr Justice Dove means there is no limit on who can seek a screening opinion from the Secretary of State but possibly no time limit! Could a planning permission be overturned after it has been granted? Read the blog below and see the potentially far reaching consequences...scary! 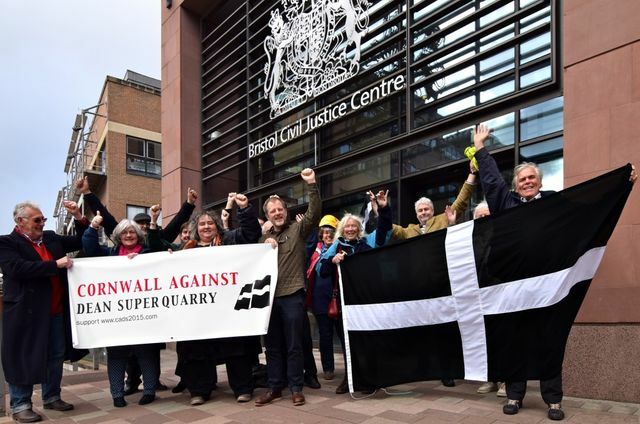 In R (oao Silke Roskilly) v. Cornwall County Council  EWHC 3711 an application was made for planning permission for some buildings to allow the restart of mineral extraction at Dean Quarry on the Lizard Peninsula. There was no environmental assessment and the Council gave a screening direction that one was not needed..... However, an objector– Silke Roskilly – had, between the council’s screening opinion and the grant of permission, applied to the Secretary of State for his screening opinion. Cornwall proceeded to grant the permission without waiting for the Secretary of State’s opinion. When it came through, he decided the development did indeed require an environmental statement. As there is a prohibition on granting planning permission for EIA development without taking the “environmental information” into account, the objector challenged the grant of planning permission.